View photogallery of conference rooms. 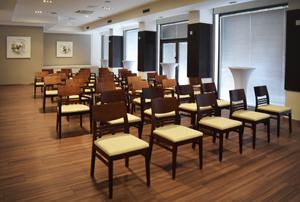 Your work-related meetings with business partners, presentations for key clients or contract signing can be executed directly in one of our up-to-date designed conference rooms. 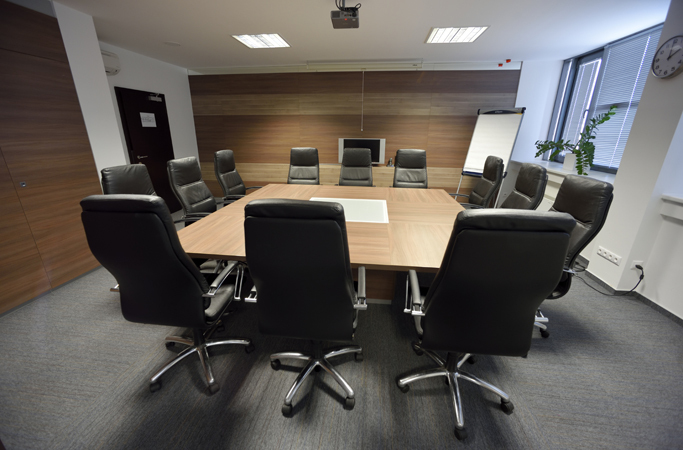 The conference rooms are furnished minimalistically, with fittings made-to-measure and with high-tech equipment. They can be arranged in variable modes to suit any kind of meeting or conference. In this way, your brand is given the opportunity to stand out and exceed. Our professional team is ready to fulfill all your wishes and arrange your event following all your instructions to the last detail.